← Time to turn off the TV? It’s so funny because I just did a post about this. 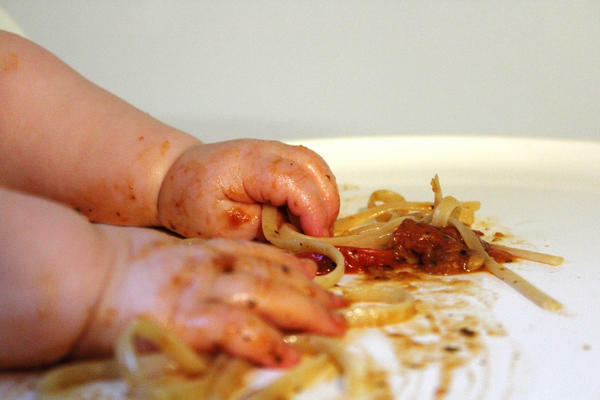 Babies are born to make a mess!! It’s all part of them learning and exploring the wonderful world of food. I let my son go for gold. But for the super messy and mushy food I will treat him and his high chair on a trip to the backyard. He loves sitting naked in his high chair, in the back yard mooshing his food! great idea, putting the whole highchair in the backyard! I like a highchair that you can hose down later as well!